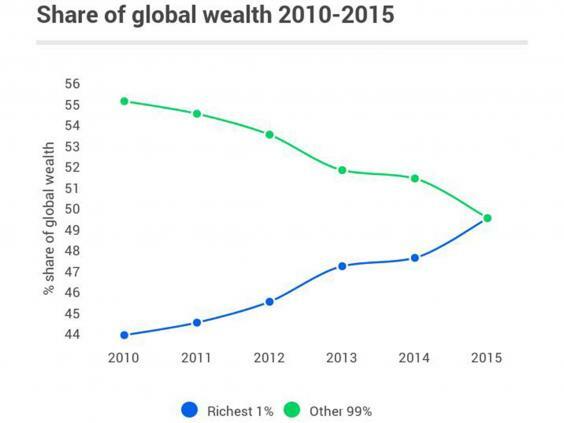 Just 62 people now own the same wealth as half the world’s population. In 2011 388 people had the same wealth as the poorest half of humanity. In 2011 this fell to 177. The number has continued to fall each year to 80 in 2014 and 62 in 2015.